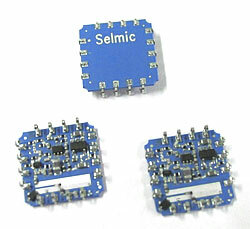 Selmic concentrates on manufacturing advanced electronic modules for high end applications. Selmic has a large machine park to cover most of the needs in packaging and interconnection needs. Own ceramic substrate technologies combined with commercially available substrate materials offer optimised solutions for demanding applications.